Children are the citizens of tomorrow. The better the children the better will be our future. So if we are hoping for a dazzling tomorrow we ought to equip our children with the tool. The tool is none other than rendering them a Quality education which will help them to analyze themselves and this world in a better prospective. Our motto “education leads to salvation” emphasizes on the unique framework of human beings, their set of mind and how they actually take up the teaching process. The South City refines, polishes and grooms the individual. We nurture and guide them as mother earth, train them as sergeant. All because we want them to be the best in life, like you always dream them to be. Last but not least we not only prepare our students for the school exams but for the exam of life and to pass it with flying and vibrant hues. We provide not only education but also stress at overall development. We render modern education i.e. education coupled with best possible amenities in all field whether its sports or moral education etc. we enthuse positive approach, a set of principles, discipline, enthusiasm, integrity, sincerity, dedication, devotion, love, care. Who could ask for more? Our teaching method is quite simple. Curiousity is our main tool “you can teach a student a lesson for a day; but if you can teach him to learn by creating curiousity, he will continue the learning process as long as he lives”. So by arousing the curiousity we can cultivate their brains to upmost level. At last one must not forget “millions said the apple fell but newston was the one to ask why “so our mainstay is to let that Newton grow in our kids. A South City we are giving the students their own space, liberty, an independence so that they can themselves and their surrounding. And isn’t this the way every great soul learned? Think by all yourself! “True education is to bring out the latent qualities of a child into light.” As every child is potentially divine, we at South City Public School sincerely Endeavour, Keeping in mind the eight type of intelligence which our children possess and keep a perfect balance between scholastic & non scholastic section. 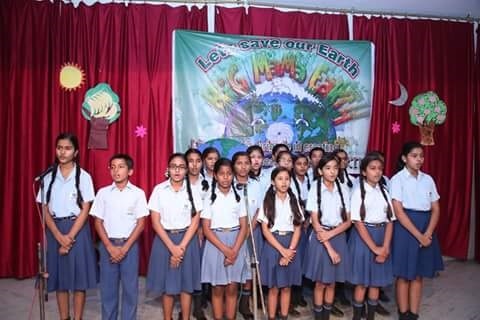 To do so, and to instill a healthy competition among students entire school is divided into four squads (Junior & Senior wing). To supplement the classroom education, and for all round personality development, various extended classroom activities are conducted throughout the session.